Can Patients Order Implant Parts to Save Money? I have snap-on implant dentures. I often need to replace the male retention caps. My dentist charges me $20 a pop, but I see them online for $20 for a set. I feel I’m being gouged. Is there any way for a patient to order these? The website where I see them only seem to sell to dental professionals. I agree that your dentist has quite a markup on those. He may have a lot of overhead and he is trying to make up some of those expenses. While the websites will only take orders from dental offices, it is rarely the dentist who places those orders. It’s usually one of their hygienists or assistants. Most dentists go into their field because they want to make a difference in people’s lives. The first thing I’d do is talk to your dentist and tell him the expense is making life challenging for you. Ask him if he’d be willing to sell them to you closer to cost. If he says no, you have two choices. You could call around to some local offices who offer dental implants and snap-on dentures to see if you can reach a sympathetic staff member who would be willing to order them for you and let you pay them. You are very likely to find one. You can also get them from Ebay. However, be careful here. These are overseas sellers and some of those countries have very poor regulations. It doesn’t mean their products will be faulty, just make sure you check their reviews. 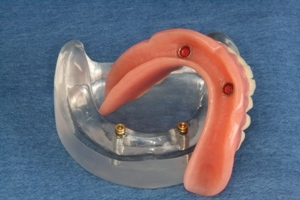 The other thing about Ebay is you will need to know exactly what you want and how to place them into your denture.